Piet Cohen started designing his series of modern Jewish ceremonial objects in 1993. The clean lines of his designs express his belief that Judaism provides a coherent philosophy of our complex world. Until recently his designs were only available as superbly crafted silver pieces. 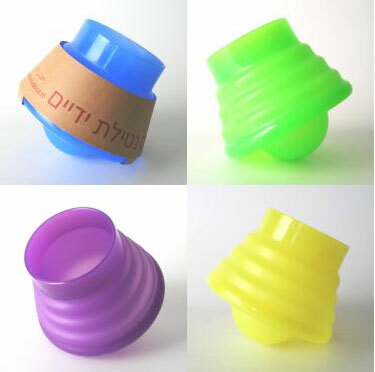 Now, the use of low-cost materials brings his inspiring designs within reach of every Jewish household.